One of the advantages of living in London has to be the ease with which you can reach the rest of Europe. As much as I adore my city, it’s always such fun to hop on an aeroplane (or on the Eurostar) and in a matter of hours be sipping white wine in a French cafe, touring the canals of Amsterdam, or seeking out the best tapas available in Madrid. This weekend just past Matthew and I made the most of being on the doorstep of the continent and took a little trip to Luxembourg. 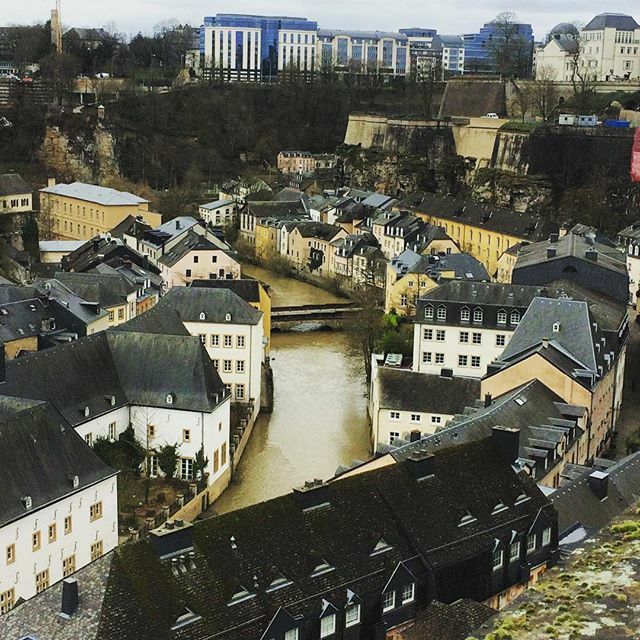 Luxembourg is a pretty, sweet, and small country, nestled in north-west Europe. I’d spent a few months there as an au pair a dozen or so years ago and was keen to go back and explore, and Matthew loves a good weekend break (particularly one with lots of Belgian, German, and other excellent beers and ales available!). 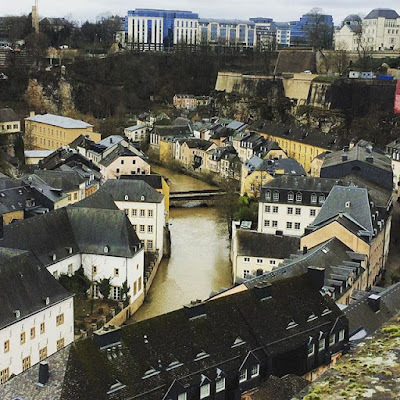 With flights available from London City, which is just so great to fly from if you live in our part of town, we were soon hatching a plan to spend some time in lovely Luxembourg. The Alzette and the Bock casemates. The casemates are one of the funnest things to explore in the city. 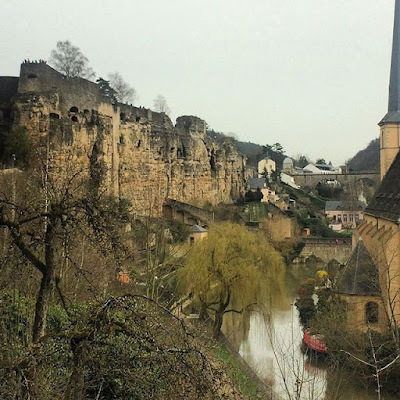 The entire place is built up around steep cliffs which head up from the Alzette valley, and within some of these cliffs you will find the casemates, a series of underground tunnels used to protect and fortify the city. 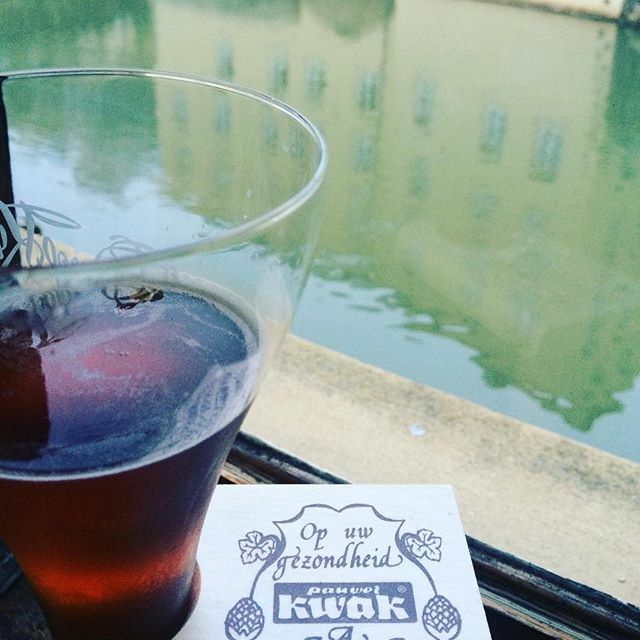 We visited the Bock casemates and enjoyed exploring this unique network. We even got a little lost! On our second full day we walked down from the old town and towards the lower area of the city. Most of the city’s big landmarks (the palace, the cathedral, the casemates) are on the higher levels, but the Grund is a quiet and picturesque part of the city. We played darts at the Pyg, a funky little Irish bar, had drinks on a sofa in front of a roaring fire watching the ducks go by on the river at Liquid, and enjoyed a cosy drink at the Updown bar, which is situated right next to the lift which will take you back up to the city proper. A LIFT. A LIFT. So clever! On the whole, the bars we went to were excellent. The restaurants were more of a mixed bag, with food best described as ‘meh’ and service ranging from the uninspired to the pretty darn rude. These two restaurants were the high points – lovely food, great service. We went for burgers and beers at Snooze on our first evening and were delighted with our choice. There are dozens of burgers to choose from, all sounding as delicious as each other! I went for a four cheese burger and it was gooooood – in the cheese melt you could really taste the different cheeses coming through and the meat patty was generous and juicy. Add in a pile of sweet potato fries and it was perfect comfort food for a grey evening. Podenco was amazing. Nestled beneath the arches of one of the city’s many viaducts, this little place is a trek from the city centre but one I’d compel you to make! We actually walked over on evening and couldn’t be seated….we returned the next day to have lunch and I am so glad we made the effort, as the meal was one of the highlights of our holiday. The staff we friendly, knowledgeable and so attentive, and really helped to make the meal a delight. A true taperia, the majority of the ingredients were straight from Spain and the waitstaff and chef’s passion for their food and their ingredients was tangible. We had a feast of tapas – jambon, venison stew, patatas bravas, white asparagus with tuna, chorizo and pork, washed down with local red wine, strong coffee, and a herbal digestif from Andalucia. If you can make it to Podenco, I urge you to visit. I adore tapas; and this is one of the finest tapas meals I’ve ever had. 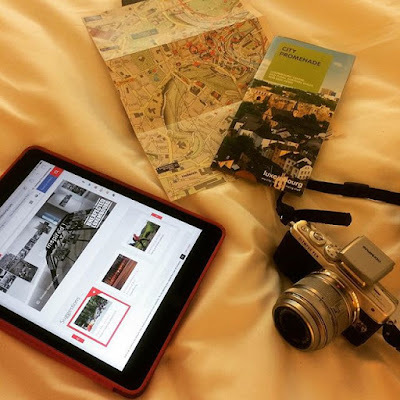 How each morning started – planning our routes (we walked for hours on this trip!) and prepping the PEN! So that was Luxembourg. Further reviews to follow, along with more photos. Where to next, I wonder?